Last weekend I was in a bee class in Portland, Oregon. 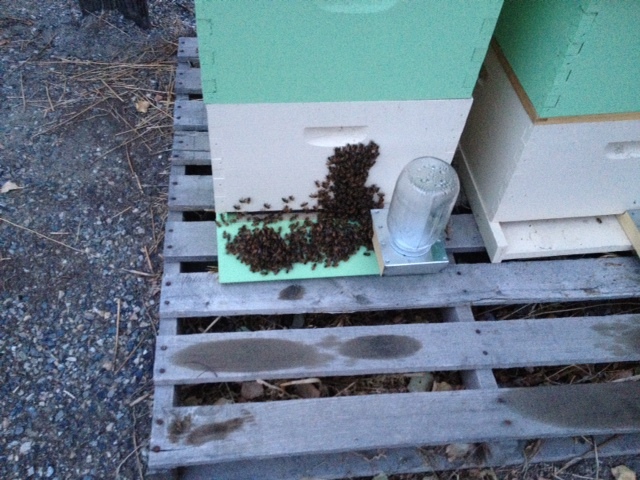 They remove their honey supers around August 1st and start supplemental feeding. So, I thought I should do that, too. When I got back on Sunday, I started supplemental feeding. Well, turns out that we don’t start that early in eastern Washington. The temperature in eastern Washington can be in the 80s and 90s well into September. We have a much longer growing season. On Wednesday, I looked at the bees and there are a lot more of them. The hive boxes are heavier. It looks like they’ve been going gangbusters and I don’t have any honey supers on there. I’ll look Sunday morning and see what they look like. There were certainly a lot of brood in the chambers. I may have to put a honey super on there just to give the bees some room. In the meantime, I’m looking for a schedule for bees in eastern Washington.